Product prices and availability are accurate as of 2019-04-06 09:09:25 EDT and are subject to change. Any price and availability information displayed on http://www.amazon.com/ at the time of purchase will apply to the purchase of this product. Avira Total Security Suite 2017 is the quick and easy way to protect yourself from online threats - without all the hassle. Avira Total Security 2017 is built upon some of the most powerful security technologies in the world. Combining advanced heuristics with the power of cloud computing, we make sure that you have the strongest protection possible. 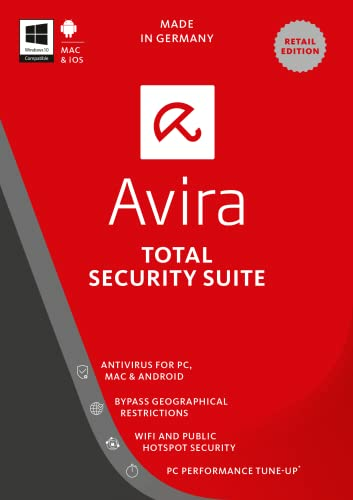 Avira Total Security Suite protects against viruses and online threats, safeguards your confidential financial data, and also improves your PC's performance in the process. But you don’t have to take our word for it: Avira’s antivirus technology is trusted by millions of users and consistently earns the praise of independent review platforms. With near-perfect scores across all tests, Avira is an industry leader in detection, protection, performance, and malware removal. Avira Total Security Suite 2017 features our System Speedup tool: A one-click solution that makes your PC as fast as the day you got it. 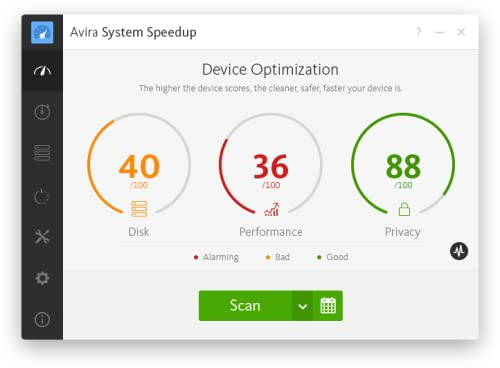 Avira’s system impact is one of the lowest in the industry - and it just made you faster. With powerful optimization tools, our revamped System Speedup toolkit offers you high-performance technology, which keeps your PC running at its full potential. Our new registry cleaner and hard drive repair functionality improve your PC’s stability and help to avoid system crashes. Avira Total Security Suite 2017 also features our Phantom VPN Pro. This virtual private network (VPN) encrypts all communications between the Internet and your Windows computer, preventing eavesdroppers from listening in on private communications and stopping cybercriminals from capturing your data. Avira Phantom VPN Pro also masks users' true IP addresses in order to browse anonymously, and lets users choose which country they want to virtually be identified, in order to allow the unlocking of geo-restricted content. 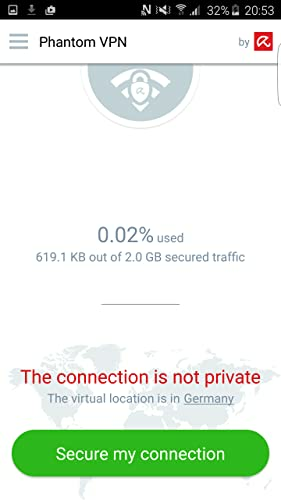 Phantom VPN Pro will secure all your connections and guard against online spies, even on open Wi-Fi hotspots, with AES 256-bit encryption. Avira Phantom VPN Pro masks your IP address. Nobody can determine your location, track your Internet activities, or see where and when you're surfing. There are also no logs that reveal to unauthorized people which websites you are visiting. Avira Total Security Suite 2017 constantly receives top scores for malware detection, low system impact, user friendliness, as well as repair and self-defense functions. 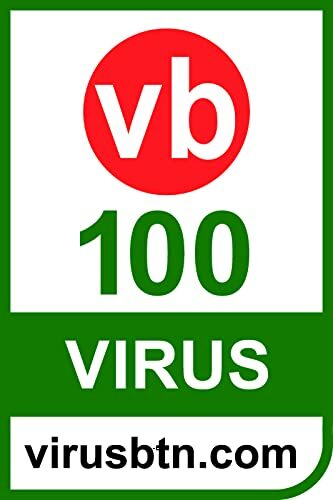 In renowned tests by Virus Bulletin, AV-Test, and AV-Comparatives Avira. In renowned tests by Virus Bulletin, AV-Test, and AV-Comparatives, Avira products earn countless test victories and awards. Avira is one of the most highly awarded antivirus solutions in history - and it just got better. Our next-generation security has an upgraded virus engine with enhanced malware removal and the industry’s best self-defense capabilities. Together with an armored Web Guard and unique self-learning A.I. at the core, we offer you complete real-time protection while you bank, shop, surf, stream, and download. As most of the malware analysis takes place in the cloud, Avira Internet Security 2016 won’t slow you down. Avira Total Security 2017 also proactively blocks sneaky PUAs from being downloaded onto your PC. This protects you against unintentionally downloading hidden toolbars, installers, and adware that cripple your operating system and crowd out your browser! Avira’s NEW Total Security Suite solution includes Network Protection that scans not only your files and folders, but also the ones you share with others. This way you don’t ever spread or receive malware. Our business is keeping people out of yours. Block online spies, snoops, trackers, and Trojans with our powerful Tracking Blockers and AntiSpyware platforms. Developing antivirus software is complex, but using it doesn’t have to be. Pick the user-friendly antivirus solution that offers easy installation, automated scans, intuitive interfaces, one-click repair, and a gaming mode that suspends notifications. Antivirus Scanner - Multi award-winning protection against malware (viruses, Trojans, worms, and other threats). Protection Cloud Technology - Scans unknown files in real time for malware and exploits. Email Protection - Checks incoming and outgoing emails and attachments for malware. Avira Intelligent Repair System - Best-in-class technology that repairs all damage caused by malware to your files. Self-Defense - Prevents malware from manipulating or even disabling your antivirus protection. Secure banking/shopping - Protects your confidential banking and credit card details. Web protection - Proactively blocks malicious files from even downloading to your PC. Network Protection - Proactively scans network traffic on all your PC’s ports to block malicious threats. Anti-Botnet Technology - Prevents hackers from secretly controlling your PC via botnet hijacking. PUA Shield - Identifies potentially unwanted applications which might be hidden within legitimate software. Performance - Security that does not affect your PC performance. Centralized Management - Display and manage the security status of all devices using the Online Essentials Dashboard. Customer Service - The Avira support team is there to answer questions. Game Mode - Suspends unnecessary pop-ups during games and movies. Browser Tracking Blocker Offered with Avira Browser Safety - Protects you from companies spying on your online activities. Clean hard disk - Removes unwanted files and hidden trash. Clean registry - Fixes registry errors. Clean private data - Deletes your browser history and removes all traces of your browsing activities as well as identity indicators. Optimize hard disk - Accelerates access to your files by defragging your hard disk. File Shredder - Deletes files thoroughly and permanently. File encryption - Protects files against unauthorized third-party access. 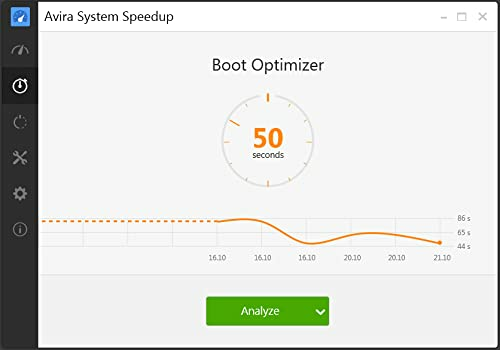 Accelerate your PC's startup time - 1-click analysis and optimization of the number of applications that run when your PC starts, accelerating your PC's startup time. Battery Saver - Reduces power consumption and saves precious battery life and power, critical for mobile users and others who use their computer a lot on the move. Plus over 30 other tools are included to manage and eliminate problems on your Windows PC. 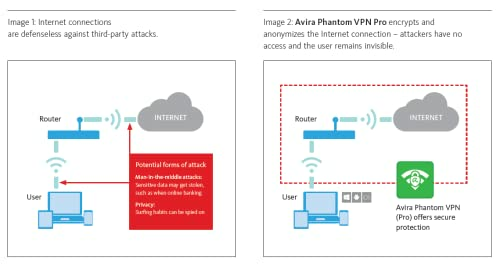 Protects individual privacy - without a VPN, online activities are being constantly tracked and analyzed - with Avira Phantom VPN, you can control what personal data is collected. Secures and anonymizes browsing. Avira Phantom VPN Pro keeps others from eavesdropping on online activities and the data exchanged with friends, online shops, and banking websites. Avira Phantom VPN Pro 2017 operates on all your devices. Phantom VPN can be used on almost all devices, including PCs with Windows 7, 8 or 10. Additional Requirements: Active Internet connection required for product activation, download, installation and Avira account registration. Administrator rights and a web browser are required during installation. For automatic application updating to work, an unrestricted Internet connection is required. Super Secure - Avira is one of the most highly awarded antivirus solutions in history. With a near perfect score (99.9%) in its file detection test, AV Comparatives gave Avira its top "Advanced+" award. Super Light - As most of the malware analysis takes place in the cloud, Avira Internet Security 2016 won't slow you down. Windows registry cleaner and hard drive repair functionality improve your PC's stability and help to avoid system crashes. Secures your Internet connection, anonymizes your activities; no matter where you are access the web like a local.